Sterling Commerce was then a part of IBM; a market leader in B2B integration, secure file transfer and multi-channel selling and fulfillment. 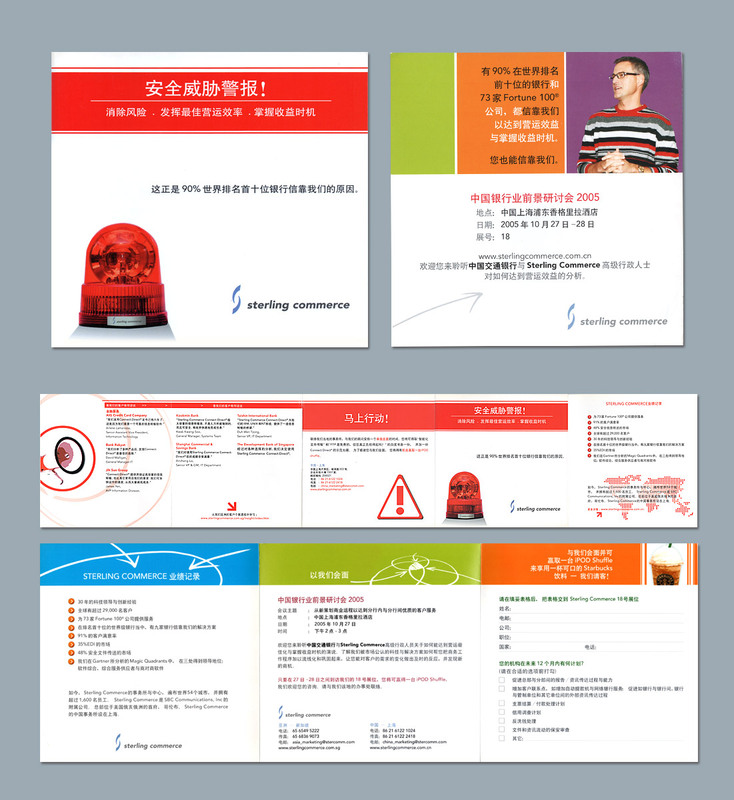 In its marketing effort to reach the Greater China region, we were tasked to produce marketing collaterals in English and Chinese that would speak clearly to its targeted audience. With our full-spectrum services from design, copywritng, translation to print, our clients were at ease to focus on the other strategic demands of their campaigns.